When entering foreign markets, properly evaluating and selecting the new partners is vital to success. We focus on locating and identifying the right partners in each market we compete in, and we build enduring relationships with those partners based on mutual value add and long term results. 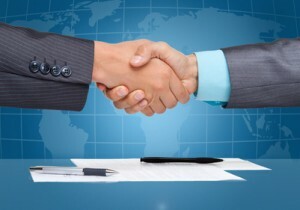 We will connect you with the partners that can build a strong and profitable business for you. You will gain access to their buying organizations and learn about their trade terms and partnership requirements. This will enable you to evaluate the business potential and decide whether you should continue approaching that each potential partner.